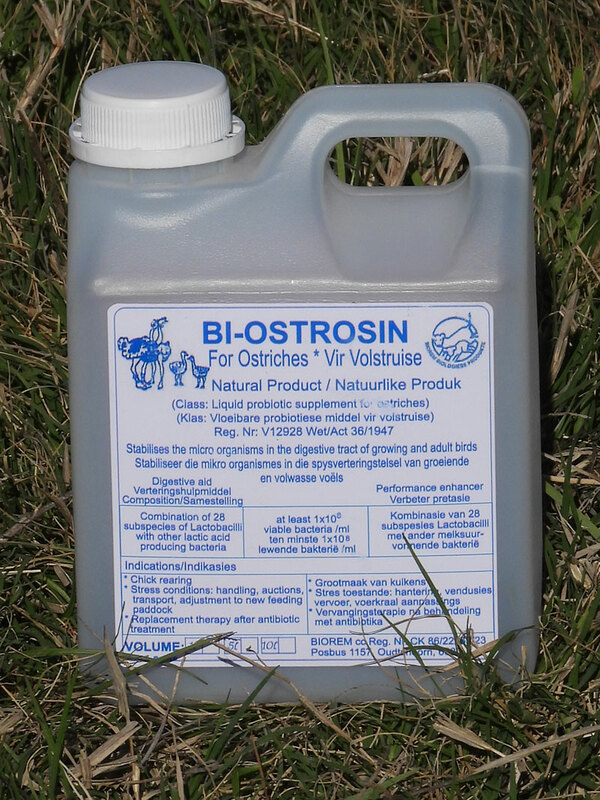 BI-OSTROSIN is a liquid probiotic supplement for poultry and ostriches. It contains a minimum of 1 x 107 live bacteria per millilitre. The product consists of a combination of 7 subspecies Lactobacilli with other species specific Lactic Acid Bacterial strains. Stabilise the micro-organism in the digestive tract of growing and adult birds. Stress situations: Feedlot adaptation, auctions, handling, transporting, etc. Replacement therapy after treatment with antibiotics. Cut the plastic sachet that contains the inoculate and growth medium and shake the contents into the container. Add lukewarm water (40°C) to the content. Shake well; leave for 2 days at optimal temperature (28°C – 32°C). Store in cool dry conditions. BI-OSTROSIN expires 12 months after date of manufacturing. 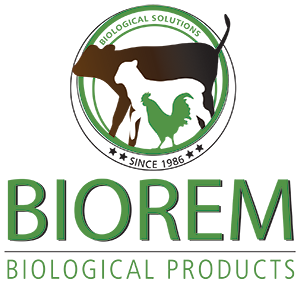 BI-OSTROSIN already mixed, can be stored for 2 months at room temperature and for up to 6 months in a refrigerator at 4°C. Chickens: 1 ml per day in the drinking water. From 25kg live weight: 5ml in the drinking water daily. From 50kg live weight: 10ml in the drinking water daily. Treat at least every second week for seven days. Can also be dosed orally. Dose orally if stress is suspected.